I think in my next life I want to come back as a sparkle covered unicorn. In case you didn’t know, I absolutely love the shimmer with the skin. 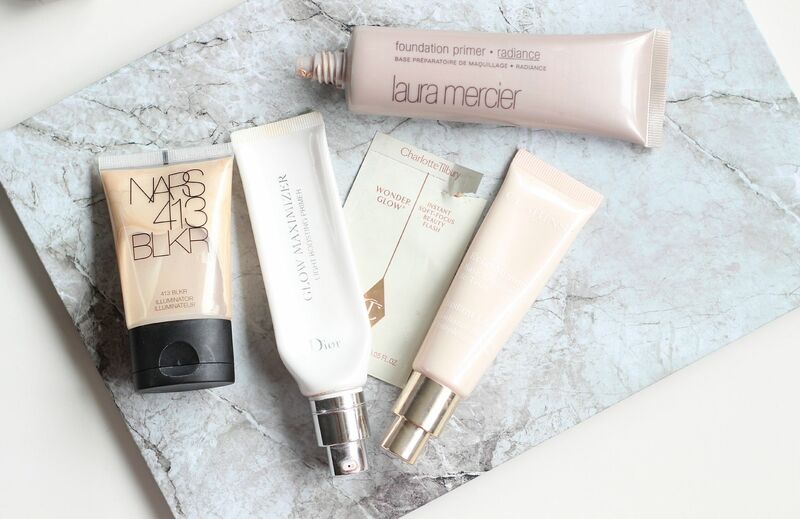 I take a ‘the more the merrier’ approach with most aspects of my makeup but that is definitely true when it comes to products that bring the glow. I need illuminating primers, layered highlights, dew-inducing mists and then maybe some actual glitter glued onto my face. I think illuminating primers make the greatest difference to the skin though because they almost act as a skincare hybrid. I have quite dry skin on my cheeks, and without a deliciously hydrating and illuminating primer, my foundation looks questionable come 2pm. 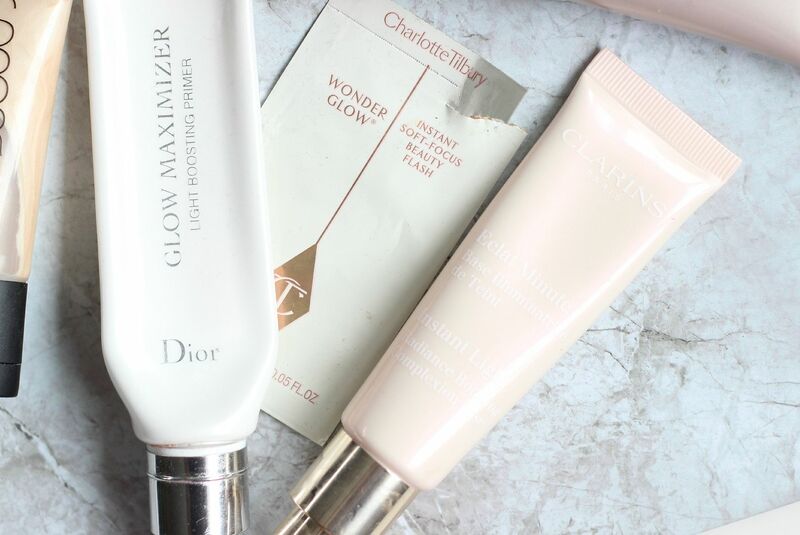 If I had to pick one primer that gives the best glow, it would be the Dior Glow Maximiser. Argh, it’s just so bloody good. So good. I have actually just finished my bottle of preciousness, and will be swiftly replacing because it just makes my skin look so much better. I normally use a pump and a half smoothed over my cheeks, and the magical quality makes your skin look so much more radiant. It’s a bronze shade when you apply it and gives an almost ethereal glow. It’s magic. 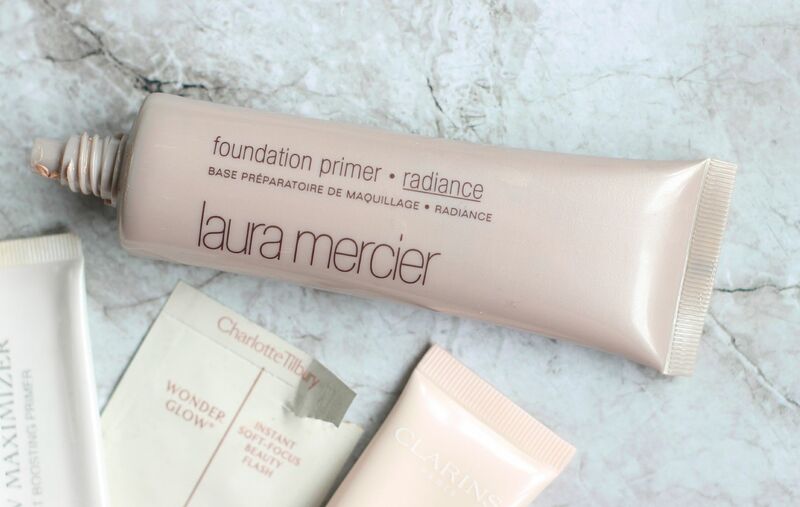 Coming in second place is the Laura Mercier radiance primer. I have been using this for a few years now, and still marvel at is ability to make my skin look far better in seconds. This one is even more hydrating than the Dior, and one that I think works best in winter so I will be switching things up shortly and using this as my everyday primer. Charlotte Tilbury’s Wonderglow is something I see written about a lot, but when I tried the sample I was underwhelmed. It didn’t make enough of a noticeable difference to my skin, and it certainly didn’t give me an instant boost of glow. Hmm. 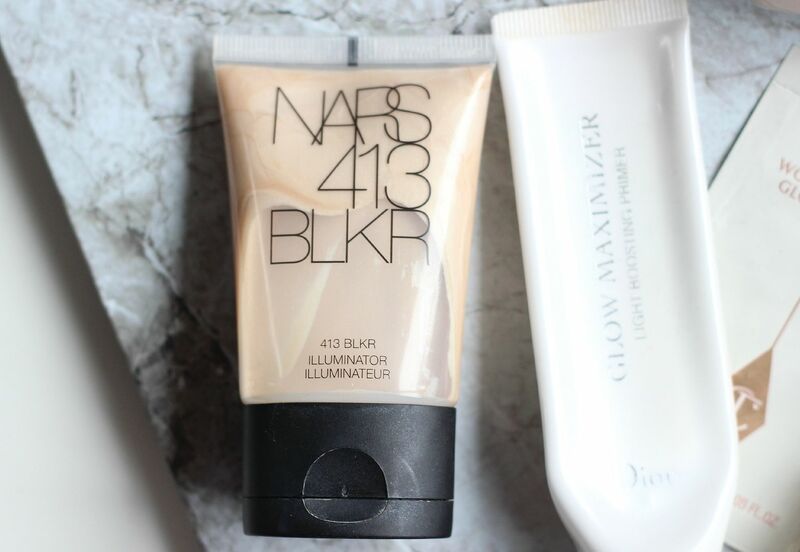 Two that I like to use as a liquid highlight or mixed in with my base of choice to sheer them out – the NARS illuminator in 413 BLKR. Like champagne and candelight bottled. The other, the Clarins Instant light radiant boosting complexion is quite pink and glowy, and one that would perfectly on the palest of skin tones. This one I don’t mind as moisturising, but I think that the shimmer it delivers onto the skin is something very pretty.